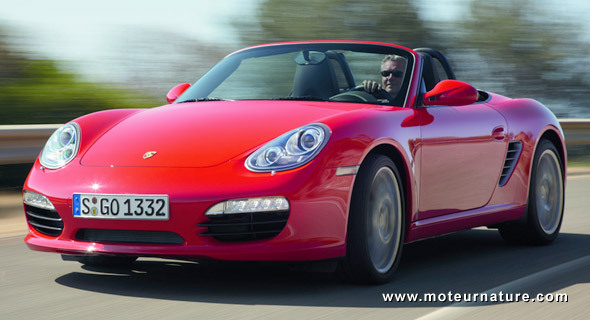 As a manufacturer of sports car, Porsche was a bit slow to get into the green car bandwagon. Porsche’s customers want performances first. Porsche builds its envious reputation from racing, and being the fastest rarely goes with the best fuel economy. But things are changing. Fast. Porsche now has an hybrid model on sale (the Cayenne), and we know the german company is working on bringing hybrid technology into racing. And more troublesome, there’s the Greenster, made by Aloïs Ruf, the famous Porsche tuner. Picture below is from the Geneva motor show, this last March. 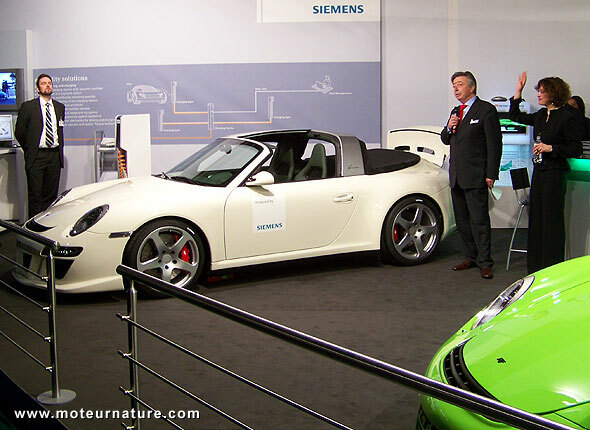 M.Ruf will buy a low spec 911 from Porsche, remove its engine, and then installs an electrid drive from its own design, made with the help of Siemens. The car will sold as a Ruf, with a Ruf warranty too. It should be available at the end of this year. So Porsche engineers are currently designing prototypes, and 3 electric Boxsters will go through a long process of tests starting early 2011. No word yet on when a production model could become available, but these tests will provide an important preliminary insight to new electric drive components and battery systems for all-electric vehicle drive. Maybe around 2015. I don’t think Tesla will survive against the germans. American cars have always been lagging behind their european counterparts.